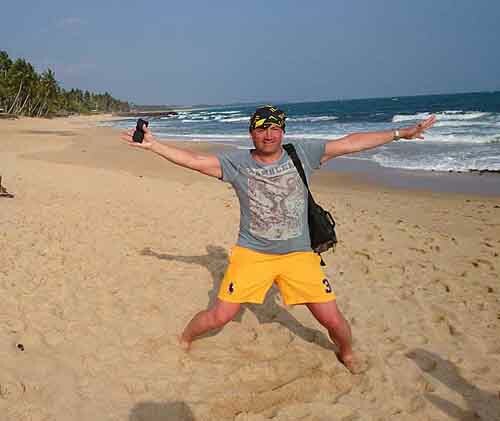 Discovering Sri Lanka with round tours. From BIA to Negombo 8 Km- 15 minutes dive. Negombo is the largest beach resort with modern-day facilities alongwith its sunny beach. Most travelers start their round tours from hereor end it up here. Because this destination is easily accessible as itis very close to the Colombo International airport. Water sports, nightlife, dining and shopping activities of Negombo are very popular allover the world. This is a great place for you to capture your travelvideos. 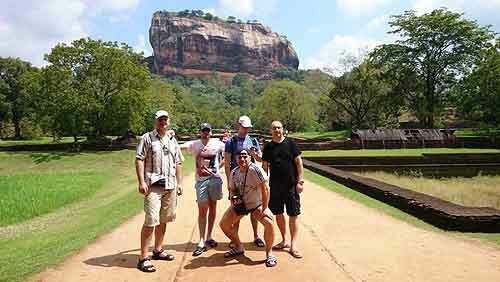 Negombo - Sigiriya 150 Km - 150 minutes drive. The rock fortress is regarded as one of the great structures of theancient Sri Lanka. It was built by king Kassapa in the 5th century A.Dand was the royal citadel for some time. It contains many buildings in acomplex. It can be seen as part-royal palace, part fortified town,along with water gardens is regarded as one of the best in the ancientworld. It constitute a magnificent and unique architectural feat of theancient people. Polonnaruwa: Sigiriya - Polonnaruwa 55 Km - 60 minutes drive. Ancient Polonnaruwa of the late 10th century, rose to fame Buddhisttemples, Royal place and gardens. Then it was fortified with threelarge concentric walls, beautified with gardens and made with manyshrines. Pollonnaruwa shows the interesting blend of the influence ofthe south Indian Hindu culture on the Buddhist art and architecture inthe scattered shrines and monuments still can be witnessed here. Polonnaruwa - Kandy. 130Km - 120 minutes drive. Kandy is elegant city with the lake and the Buddhist temple. Itstays in between green mountains chains, Lake and running with theflowing Mahweli river. This river is Sri Lanka's longest river. Kandy isthe capital of the Island's last independent Kingdom has retained adistinctive identity and character. It is popular for traditional artand crafts. Kandy - Nuwara Eliya. 75Km - 70 minutes drive. Nuwara Eliya was one of the summer homes for the last Britishrulers. They built this town as one of the British town with colonialbuildings and roads. Parks, refreshing streams, 18 holes golf coursewith gorse in some places, post office with the clock spire, theAnglican Church with a lych-gate, and the hill club, with its huntingprints, stuffed fish and polished Oak. Dining, Evening tea party aresome of the popular events other than horse riding and boating in thelake. Nuwara Eliya - Ella. 55Km - 55 minutes drive. 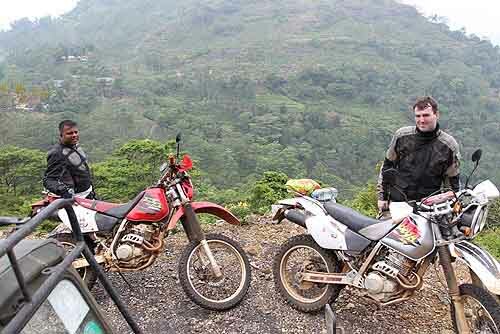 Ella is mountainous region with tea plantations, treks, waterfallsand with forests. 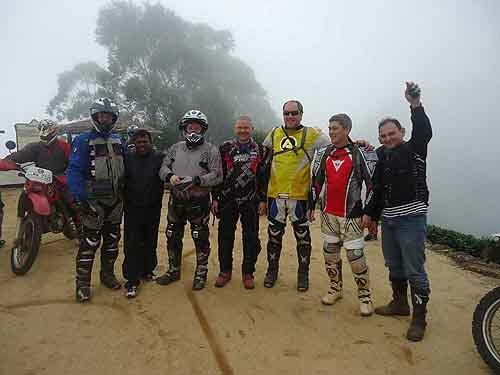 Many foreigners sued to start this as a base for theirtrekking expeditions to the surrounding countryside and mountains. Thissite is very beautiful one and it must not be missed. Ella -Tissa. 90 Km - 90 minutes drive. Here you can visit the Yala National Park which is popular as Wildlife sanctuary. Nearly all the tourist used to visit this place whenthey tour Sri Lanka. It is home for large herds of Elephants, spotteddeer, sambur, barking deer, monkeys, wild boar, wild buffalo, sloth bearalong with wide varieties of bird species. If you are lucky you canwitness Peacocks performing their mating dance with the colorful longfeathers spread. Tissa - Mirissa 120Km - 120 minutes drive. Mirissa - Beach is popular for its beautiful sunset and sun rise.You can go on with water sports like surfing and snorkeling. Take awhale and Dolphin watch tour to see them in the deep blue ocean. A placeregarded as one of the best beach. Visit nearby Buddhist temples andSinharaja natural rain forest. Colombo,the Business capital of Sri Lanka is large in size and consist the mainsea port of Sri Lanka. It is also the commercial and financial centerof Sri Lanka. A bustling metropolis, the city is an attractive blend ofhistorical and modem buildings. It has the lazy charm of the bygoneBritish era combined with English type shopping complexes, offices andhomes and blooming modern day towers. Colombo is an ideal location tostart the discover Sri Lanka tours. Depart from the Island to your next destination or back to your home.